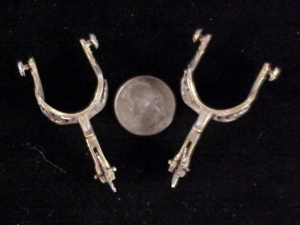 This is a pair of 1/4 scale spurs made by Roberto Hinze in Houston, Texas about 15 – 20 years ago. 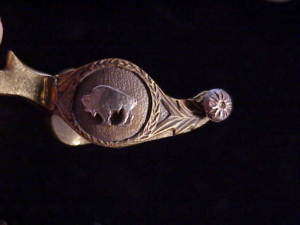 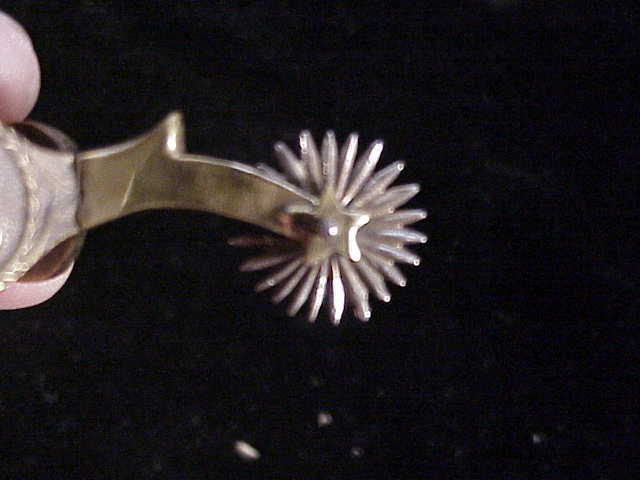 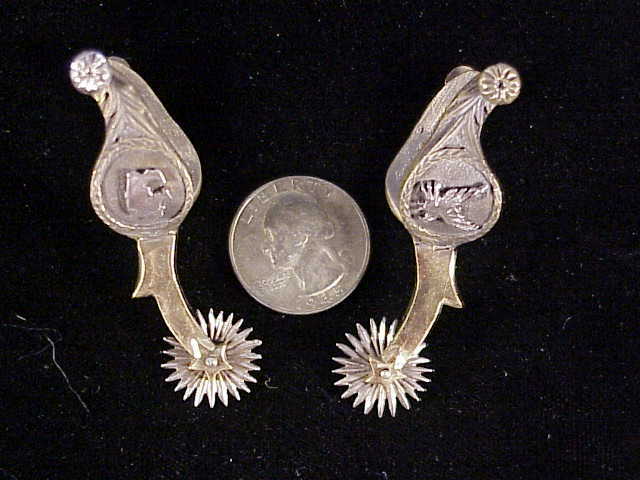 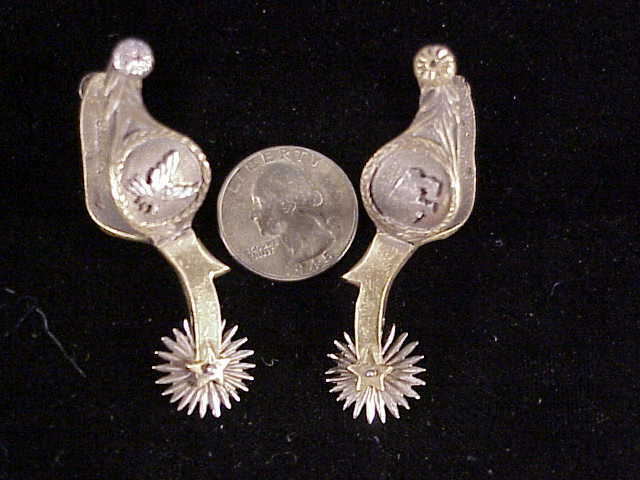 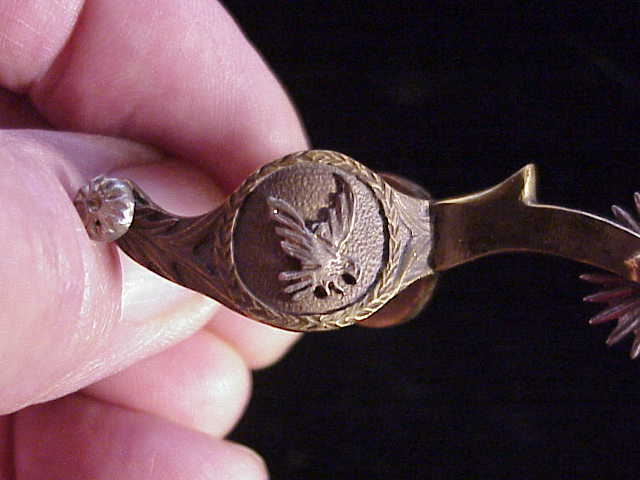 The basic spur is cast bronze, and is decorated with a sterling silver bison on one side and a flying eagle on the other. 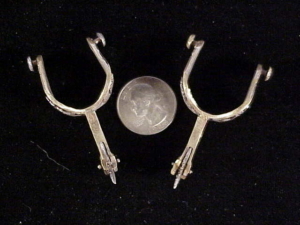 The rowel is also sterling silver with 20 points. Very well made, these will fit the Glen Hojem or Fisher miniature boots. Price: $50.00.